Glasses were raised last weekend to mark the 25th anniversary of the island's lifeboat. 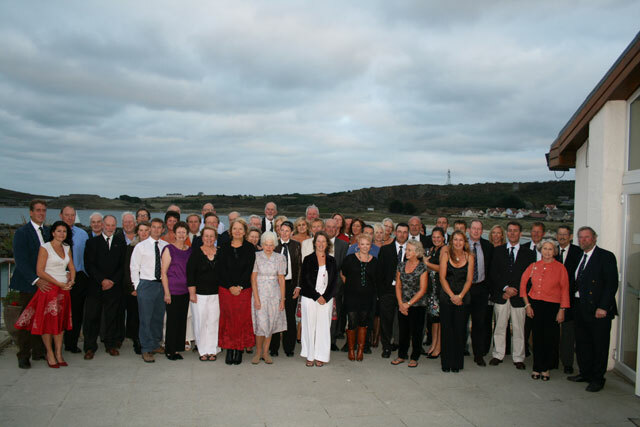 Local RNLI crew, committee members and fund raisers gathered at the Braye Beach Hotel to mark the establishment of the emergency service in 1984. Since its inception RNLI Station Alderney has undertaken 632 services, rescued more than 1,000 people and recovered vessels valued at a total of £15m. Prior to 1984, Guernsey's lifeboat crew, as well as numerous local vessels, dealt with problems in Alderney waters. Current coxswain Declan Gaudion was one of the original crew members. He said no one in the island could imagine life without a lifeboat now. "You do wonder when you get a lifeboat how you managed without one. We average about 30 calls a year and while not all of them are life and death situations you get the odd one which is trickier than normal. "Since 1984 the lifeboat has proved its worth. Having one here has been very worthwhile." Mr Gaudion, who received an award for bravery at sea last year, said the RNLI is a great service to be involved with. "Being on a small island the lifeboat is very much a part of life here. Personally I've found it very fulfilling - it's a very good service to be involved with. "The memorable moments are too numerous to mention. One of the best parts is the people you meet and we've got great people on all sides of the operation, from the crew, to the committee and fund raisers. We're one big team." Mr Gaudion said the main difference for Alderney's 18-strong crew these days are the improvements to boat technology. "The boats are a lot more advanced now so everyone has to keep up to speed on all the systems." Seventy people attended last Friday's celebration.